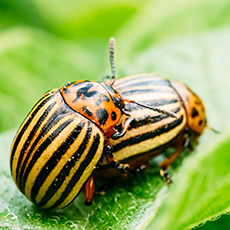 The birds do it, the bees do it, and even two Colorado striped beetles do it! “Testosterone is a hormone that is produced primarily in the testicles for men and the ovaries and adrenal glands for women. This hormone is essential to the development of male growth and masculine characteristics. For women, testosterone comes in much smaller amounts. Testosterone production increases about 30 times more during adolescence and early adulthood. After early adulthood, it’s natural for levels to drop slightly each year. Your body may see a one percent decline after you’re 30 years old. Two nutrients that can help you increase Testosterone are Vitamin D and Zinc. Tuna is rich in vitamin D, which has been linked to longer life and testosterone production. It’s also a heart-healthy, protein-rich food that’s low in calories. Whether you choose canned or fresh, eating this fish can be a natural way of boosting testosterone. A serving of tuna fulfills your daily vitamin D needs. If you aren’t a tuna fan, you may consider other fishy sources of vitamin D, such as salmon or sardines. Remember that moderation is key. Aim for a max of two to three servings a week to minimize your intake of mercury, which is found in seafood. Egg yolks are another rich source of vitamin D. While cholesterol has a bad reputation, egg yolk contains more nutrients than egg whites. The cholesterol of egg yolks may even help low T. As long as you don’t have any preexisting cholesterol issues, you can safely eat one egg per day. Zinc is an essential nutrient during puberty, and its effects can keep male hormones in check throughout adulthood. Men who have low T benefit from taking zinc if they also have zinc deficiencies. Oysters are high sources of the mineral zinc, which may help with low T.
An occasional serving of crab or lobster may do your testosterone levels some good. This is thanks in part to the zinc content in these seafood favorites. According to the National Institutes of Health, Alaskan king crab comes out on top with 43 percent of your daily value of zinc in just a 3-ounce serving. There are real health concerns about the overconsumption of red meat. Not only do some cuts have more fat than poultry, but eating too much is also linked to cancers, such as colon cancer. Still, certain beef cuts have nutrients that can boost testosterone. Beef liver is an exceptional source of vitamin D, while ground beef and chuck roast contain zinc. To keep animal fats in check, choose only lean cuts of beef and avoid eating it every day. Guess what else helps the production of Testosterone in your body, and that is vital to your HEALTH and WELL BEING? The FIVE Chinese elements need to be present and in equal ratio. Light and darkness must be in balance – YIN/YANG. Spatial harmony and the proper placement of furnishing in every room creates POSITIVE Life force Energy – InnerG. ← This RELATIONSHIP article is too good not to share..!